I realized this month marks 8 (!!) years of this blog’s existence which is so crazy to me. I can hardly believe how much has changed and what this space has brought me. I haven’t been spending as much time here, but that is largely just because this time of the semester is crazy, and it’s also because I’m working on other projects taking up my creative energy right now. 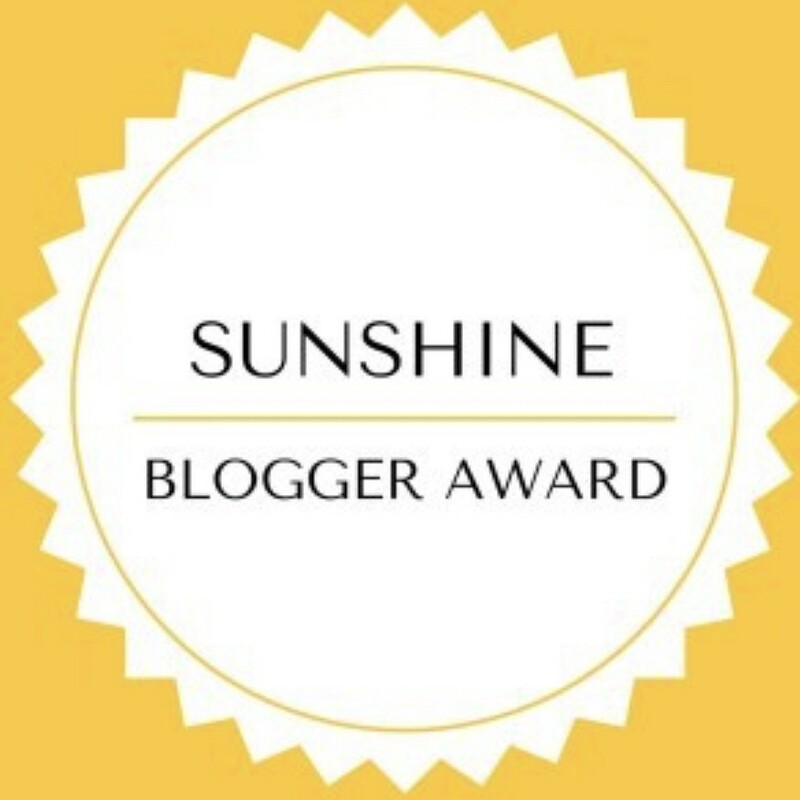 So when Elizabeth forwarded this Sunshine Blogger recognition to me, I decided to play along. The “rules” are simply to choose a fellow blogger who inspires positivity and creativity in the online community. Then send them some questions and be sure to answer the ones sent to you. It’s a fun way to honor a fellow writer and to introduce readers to new spaces. Here were Elizabeth’s questions for me. I had fun answering them! Is it difficult to write about true stories from your life? Sometimes, yes it is. It’s weird for me because sometimes things just pour out – almost without my permission. (In Big Magic, Elizabeth Gilbert refers to it as feeling like you are on a moving sidewalk.) And other times, a little essay can be so slow going and really just downright difficult to get out. Right now I have an outline for a book, and I am plowing my way through chapter by chapter. Some of these stories fly right out, and others take a while to shape. When writing, how much attention do you pay to your audience? For blog posts, I think I imagine my audience as a good friend. I’ve interacted with readers here and there over the years, so it’s become this safe and soft space where I can sit down and spit something out without judgment like I would with a friend over coffee. I know there are naysayers or haters or whatever lurking somewhere, and I’ve received some spiky comments here and there, but they are few and far between, and I throw that audience way out of my head when I am writing. If I didn’t do that, then I’d never write at all. What do you avoid writing about at all costs, if anything? I guess in a practical sense, I am careful to never write about anyone else’s challenges or motivations for their actions. I might mention how someone’s actions (as a statement of fact) affect me, but I don’t tread on the ownership of their perspective. I’m actually not sure that I have a good answer for this question though. I am of Hemingway’s belief that you have to “write hard and clear about what hurts.” I’m writing harder and clearer for my book than I do for my blog. But I firmly believe that place where it gets uncomfortable for me is that place where the magic happens. What’s your favorite post from your own blog? Oh this is a hard one! I love re-reading the birthday letters I write my kids. I’ve stopped doing that publicly with my son, and I soon will with Norah as well. I still write them, but I don’t share as much here because of privacy as they grow older. The post where I came clean about my divorce is on my list of favorites because now when I read that, it has such a prophetic tone. I had no idea the beauty that was waiting, and I was writing that through tears and shaky hands, right in the middle of the searing pain. This post when my grandmother passed is also on the list – no doubt. That one was a moving sidewalk for sure. It came from somewhere else, and I wrote it so quickly. Lastly, I’d say “Sinking the Ship” is up there. That one came out like a manifesto that I didn’t expect when I sat down to write. Do you have a favorite post from someone else’s blog? I don’t know that I have one favorite, most memorable post. 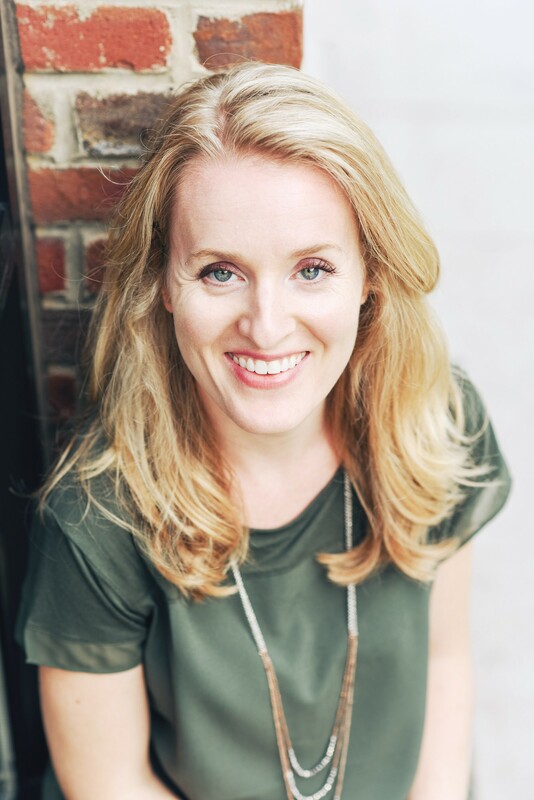 There are certain writers that have been really influential for me for lots of reasons — Dooce’s honesty was my first introduction to the idea that blogs can be powerful. I was obsessed with her blog back in maybe 2007-2010 or so. I used to read Lecia Phinney pretty regularly too, but she stopped blogging as she began working on her book. Glennon Doyle circa 2012-2016 or so probably put out the most powerful and memorable posts that stand alone for me. Her do-I-stay-or-do-I-go post was written after I left, but I loved that one so much. She speaks my language. Anne Lamott “blogs” through Facebook posts every now and then, and every single time, I am nodding in agreement. She is incredible. Do you ever wish you could take back one of your posts that perhaps an earlier version of yourself had written? Well, ahem, this blog chronicles a totally normal, totally happy little family from 2010 when I started writing here until 2015 when it blew up. That is super weird to look back on. I’ve considered removing those posts because this blog became something else… because I became something else. But that seems weird — to strike years from my record like that. So I’ve left it. I also think, in general, that my early posts are boring because I am not at all writing about what hurts. When I got real is when this blog got better, and that’s when my audience began to grow as well. Do you write more for personal or professional reasons? Personal for sure. Even when working on this book lately, I’ve really had to look at it that way for it to feel true. Maybe only 20 people will read it one day, but who cares? I write to explain things to my own self that I otherwise might never understand. What’s the most amazing thing about you? Oh, yikes. I get weird imposter syndrome about everything in my life, so this is hard to answer. I guess that I stay open and that I have softened instead of hardened when some really terrible and scary things have happened to me. I think my very best days are ahead, and I always keep the faith that a larger thread is pulling my life every minute. I am very good at finding the sacred in the mundane. It keeps me going. What is your greatest aspiration as a writer? To write a book that more than a handful of people will read. To leave my children with my story. That it doesn’t matter if 10 people read or 10,000. Just write. The readers meant to find you will find you, and sometimes cozy is better. I’ve had days where my stats soared to 15,000 or higher in response to something on Huffington Post or Scary Mommy, but those are not my best blogging experiences at all. The times I poured something out here and heard a small chorus of “me too” are far better moments than tons of page views. Just write what you know. It’s your journal. I do throw in the towel from time to time in that I will go a month or two without a peep. But I know that it’s always here waiting for me when I get to it. It’s my little corner of the internet (for 8 solid years now!) and my happy place. I nominate For the Love of Wonderlust because she inspires for sure, and I also nominate Memory Box Mom whom I’m lucky enough to call a close friend. Why do you keep doing it? Why you keep coming back to it with so many other social media forms? How has blogging changed for you since you began? Has your site somehow taken a different shape than you expected? Do you envision a certain audience when you write? Do you have a favorite post of yours? Describe your ideal day? Is writing part of the equation? Congrats this is awesome! What an honor to have 8 years of a blog… like your own diary you have been looking back on! Congrat… I’m a relative newbie compared to you. Kudos to you.